We are delighted to offer this 2* property situated approximately 20 minutes away from Rhodes Town. This is a family run hotel and the attention to service offered by the owners is second to none! Clients return here year after year. 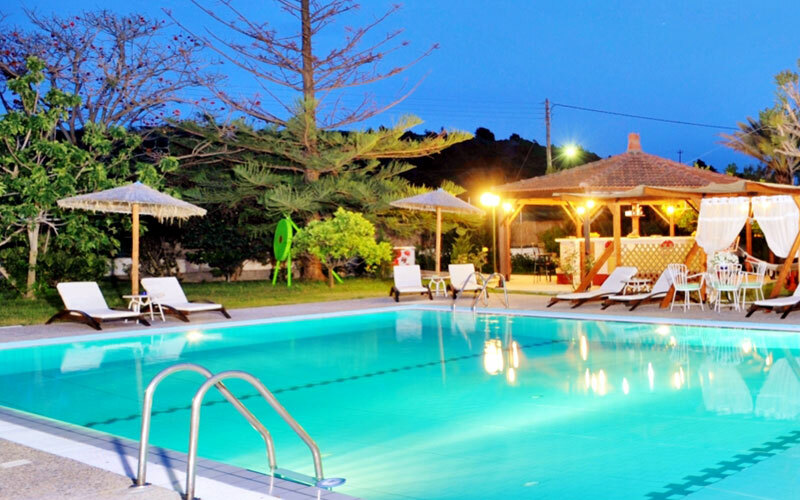 Evening entertainment varies daily but includes a disco, karaoke and Greek music nights. For guests that prefer the beach, the property is within easy walking distance of the coast and a pebble beach. Facilities include: Swimming pool, free Wi-Fi in public areas, giant outdoor chess, billiards, board games, library, 24 hour reception, car parking, pool bar, indoor bar and restaurant serving breakfast, lunch, dinner and snacks. 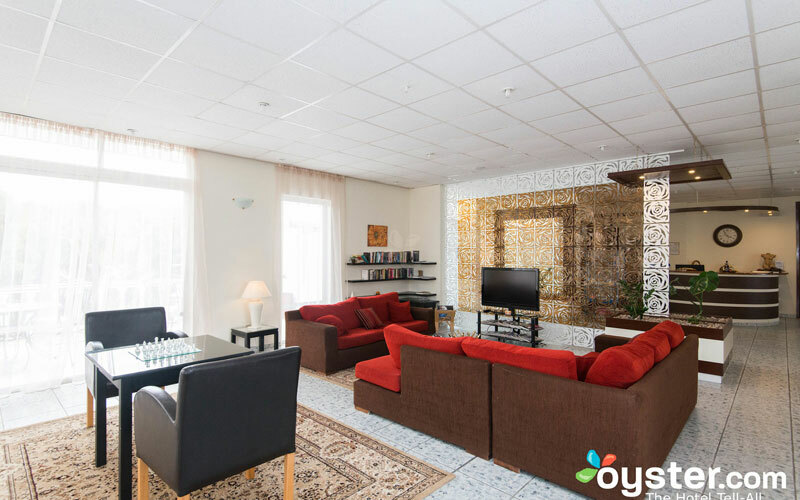 The property has a total of 32 rooms. They vary in size between 15 and 17 square meters and have a maximum occupancy of two people. 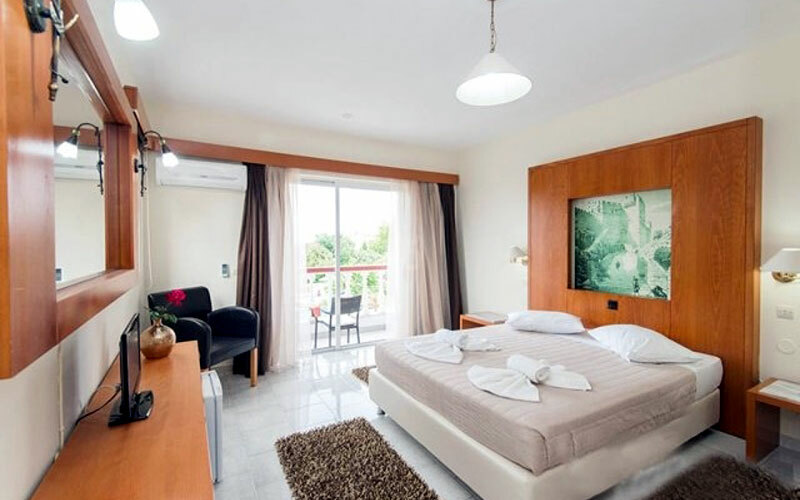 All rooms offer a private bathroom with shower and bath, air conditioning, Satellite television, direct dial telephone and a balcony or terrace. Customers can select from Pool View, Mountain View or Sea View. Away with Dune offers all room types on either a bed & breakfast or half board basis. 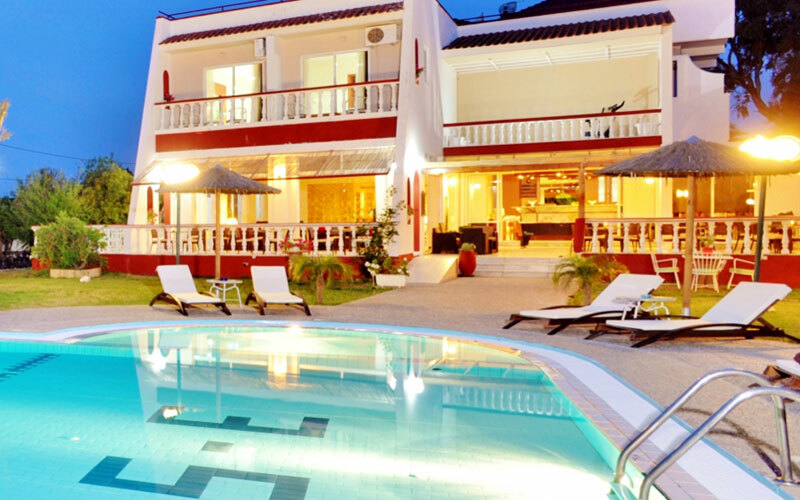 Transfers can be arranged from the airport, however we really do recommend car hire at the Naturist Angel Hotel - it will allow you to venture out and explore this wonderful island! If you prefer to use local transport, a bus stop is available just outside the hotel. Naturism is obligatory in all external areas of the property - it is not permitted in communal indoor areas.